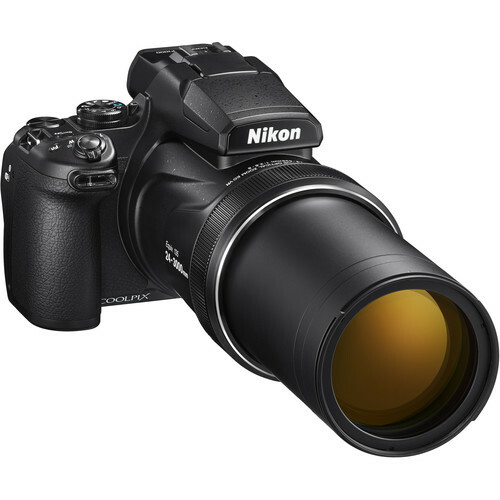 Many Youtube reviewers have posted their Nikon COOLPIX P1000 Zoom Test & Review Videos. Check out! With an incredible 125X optical zoom (24-3000mm equivalent) , the new Nikon COOLPIX P1000 is the ideal companion camera for birding, sports, wildlife and celestial-photographers seeking superior performance from extreme distances. Now the new Nikon COOLPIX P1000 is available for pre-order at Amazon, B&H, Adorama for $996.95. Nikon COOLPIX P1000 Officially Announced, Price $996! Pre-order the Nikon COOLPIX P1000 Now!